GATED COMMUNITY! LOW MAINTENANCE, DOUBLE SPLIT-LEVEL, RESORT STYLE CONDOMINIUM OVERLOOKING THE 5TH HOLE AT COOPER'S POINT! 3 Bedrooms PLUS bonus room, master suite on ground level, berber carpet, ceramic tile and real pine floors, extensive molding, jetted tub, full appliance package AND a sunroom overlooking the golf course (not included in heated area shown). 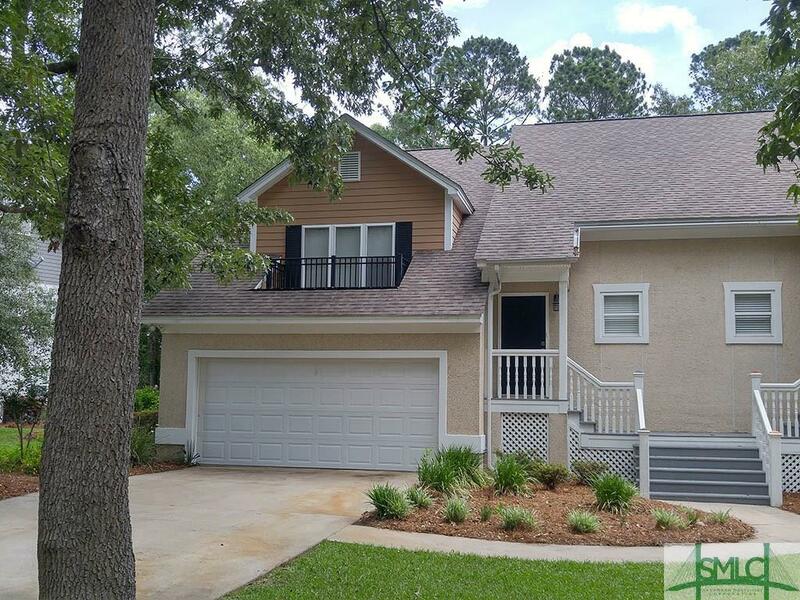 Community deep water dock on the White Chimney River near the Sapelo River, two community pools, clubhouse and more! Listing courtesy of Brandon L. Boyce of Islands Real Estate Company. © 2019 Savannah Multi-List Corporation. All rights reserved.